Developer website: PearlMountain Technology Co., Ltd.
Is there a better alternative to Scrapbook Crafter? 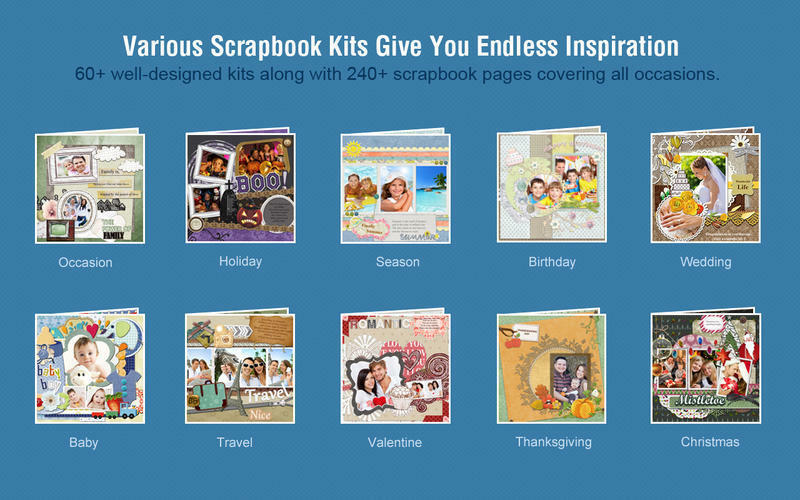 Is Scrapbook Crafter really the best app in Designs and Graphics category? Will Scrapbook Crafter work good on macOS 10.13.4? 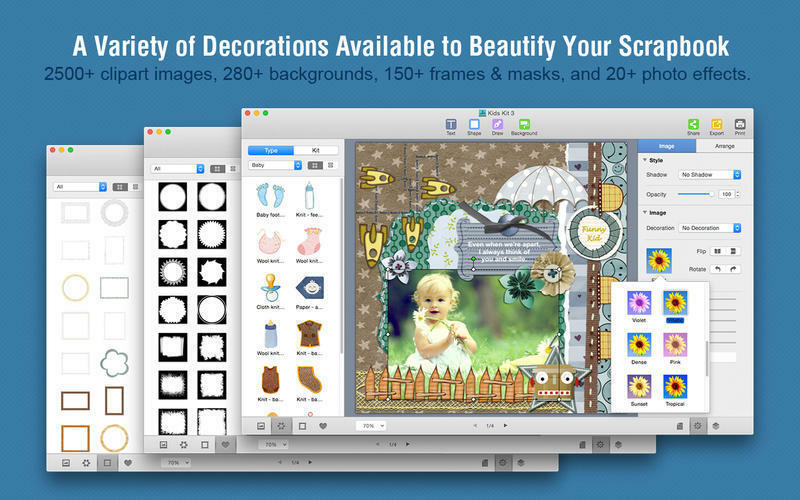 Scrapbook Crafter is an easy-to-use digital scrapbook software that enables you to quickly create fun and original scrapbooks on Mac OS X. 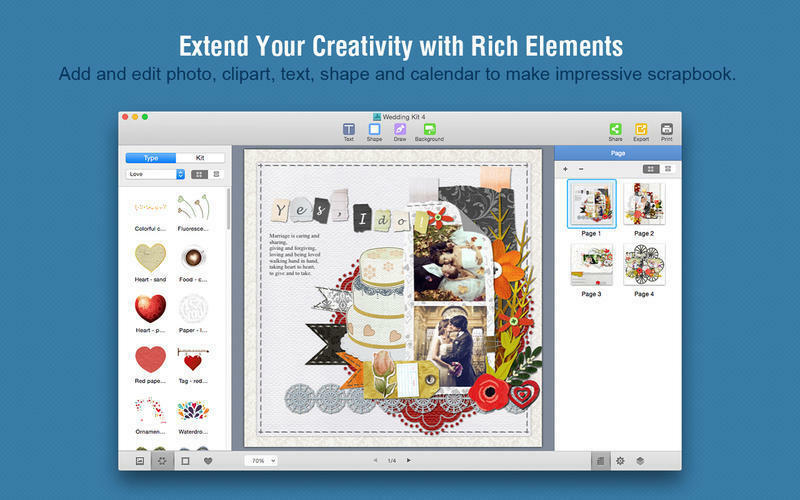 This user-friendly software is great for both the novice and professional scrapbookers. Scrapbook Crafter needs a review. Be the first to review this app and get the discussion started! Scrapbook Crafter needs a rating. Be the first to rate this app and get the discussion started! Scrapbook Crafter features many ready-made scrapbook kits to get you started, covering various holidays and occasions. Pick one to jump-start your scrapbook design and all you need to do then is select the photos you want to include in your scrapbook, and freely apply fantastic decorations like clipart, frames, masks, backgrounds, shapes and text, etc. to customize the scrapbook. When you’re satisfied with the final layout, Scrapbook Crafter lets you easily export it, print it or share it via E-mail, Message, AirDrop, Twitter, Facebook, and Flickr. 60+ professional scrapbook kits help you make memory books that will last a lifetime. Scrapbook kits are designed for various holidays and occasions - Christmas, Easter, Halloween, Thanksgiving, Valentine’s Day, Anniversary, Birthday, Baby, Travel, Graduation, Wedding, and so on. 2500+ clipart, 300+ backgrounds, 100+ frames & masks are provided. Free to manage layers of different objects. Apply delicate clipart to make your scrapbook more amazing. 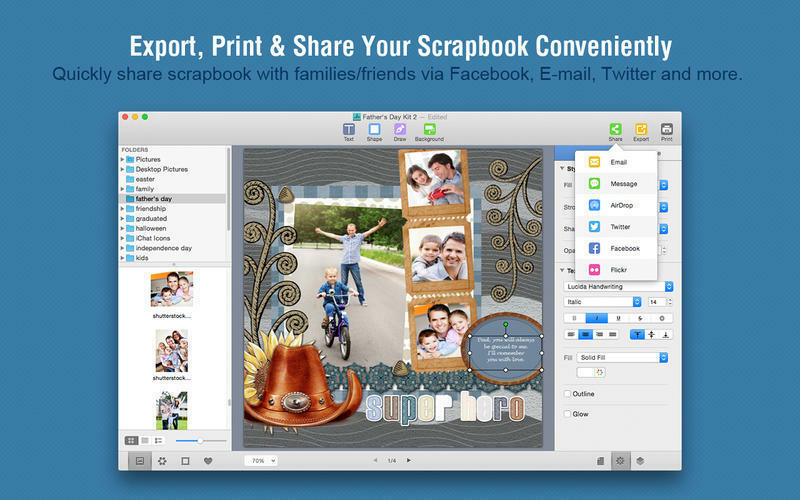 Export your scrapbook as a PDF, JPG, PNG, TIFF, BMP, and PSD. Share the scrapbook via Email, Message, Airdrop, Twitter, Facebook and Flickr.